At the Millésime Bio fair held last January in Montpellier, the capital of the Languedoc-Roussillon region, close to 800 producers from all over the world were showing their organic and biodynamic wines. On either the front or back label of the French wines, adjacent to the printed alcohol content, was a sign the size of a thumbtack. Inside the universal symbol for “don’t do this” — a circle with a diagonal line through it — is the profile of an obviously pregnant woman raising a glass of wine to her lips. 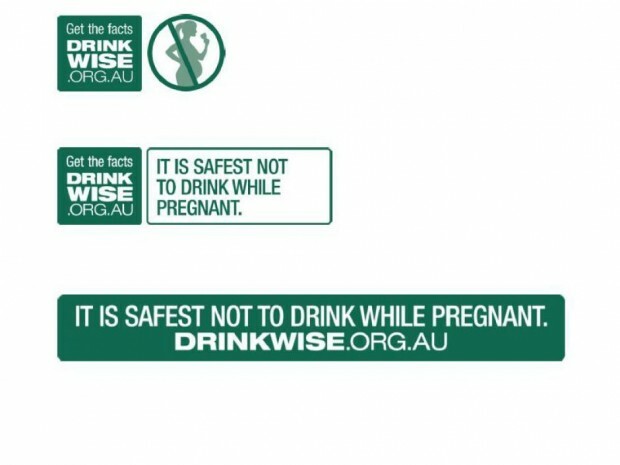 One would have thought that this image would be clear and unambiguous: if you’re pregnant, don’t drink wine; but there have been so many misinterpretations of the symbol that the federal agency regulating the sale of beverage alcohol in the United States has dropped it (although a printed warning against drinking while pregnant is still a mandatory requirement on US bottles). This symbol, however, is still required on bottles of French wine. The problem as the US regulators saw it was that some women took the symbol to mean that wine is a contraceptive, and that if you drink wine you won’t get pregnant. Some thought the opposite: if you drink wine, it will help to get you pregnant. The whole debate around wine (and alcohol in general) for pregnant women is fraught with difficulty. There is no question that a mother’s heavy drinking can be detrimental to her unborn child, likely to result in fetal alcohol syndrome that damages the baby’s central nervous system; but there is a growing body of literature that suggests light drinking can actually be beneficial. Talking from personal experience, the mother of my two children drank wine in moderation throughout her pregnancies and both kids turned out just fine. A research study at the University of Copenhagen studied 63,000 Danish women and published their findings in November last year. The women were interviewed three times about their alcohol consumption, twice during their pregnancy and a third time when their child reached the age of six months. When their children turned seven, some 40 per cent of the women were interviewed again. The researchers found that that women who drank “a small amount of alcohol” during pregnancy tended to be healthier than those who abstained altogether. The “drinkers” watched less television, ate more fish and were more likely to exercise. As a result they exhibited a normal body mass index compared to the non-drinkers who were more likely to resort to pop and sodas for their liquid refreshment. In that same Danish study, it was found that women who drank a glass of wine a week during their pregnancy gave birth to children who were better adjusted both emotionally and in their behaviour patterns than those who abstained. The question, of course, is: what constitutes “light drinking” for a pregnant woman? The Department of Health in Britain has pegged it at one drink a few times a week. The experts are still divided over the issue, and it is simpler for doctors to tell their pregnant patients to refrain from drinking alcohol in any form. Which is a pity because this admonition denies women the pleasure of a relaxing glass of wine — at a time when they would probably most appreciate it.